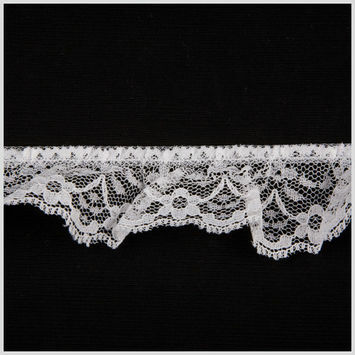 Pleated Lace Trim contains two desirable novelty elements combined for elegant additions to clothing and accessories. 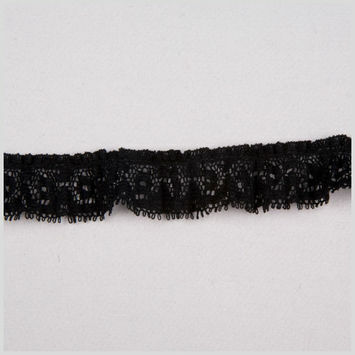 A pleat is created by doubling fabric back on itself, and then securing it in place and repeating the process. 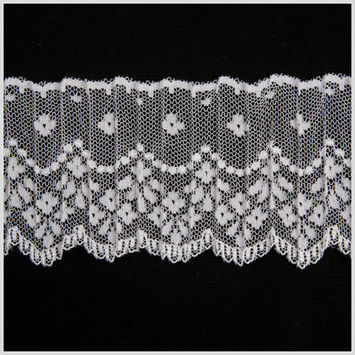 Pleated fabric has a complicated past as before the 20th it was quite difficult to manufacture. 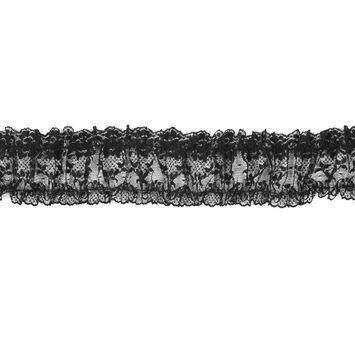 Pleating was often used by the elite since pleating can take a fabric from five yards to one. 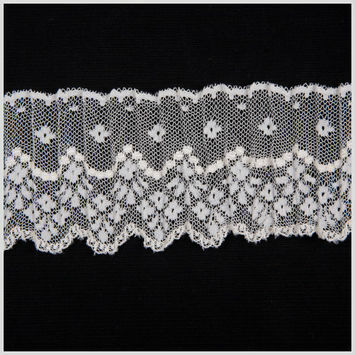 In the 1950's, Irish designer Sybil Connolly teamed up with Belfast handkerchief manufacturer Spence-Bryson to make access to pleated fabrics more widespread by using Irish made linen, which tends to pleat easily. 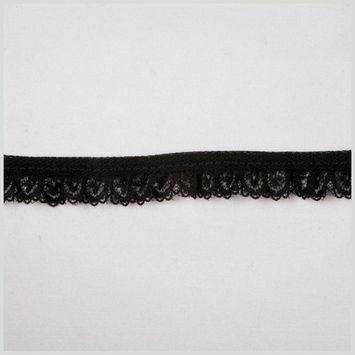 Nowadays, pleats are created with heat-setting. 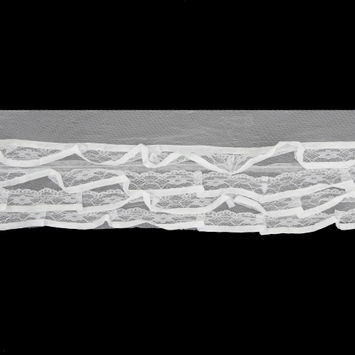 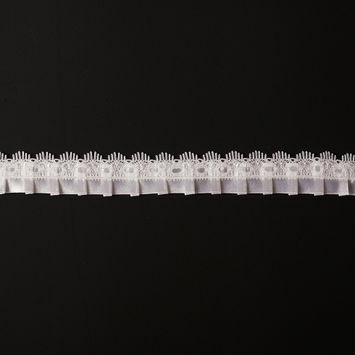 Creative ways to utilize Mood's pleated lace trimmings would be to wrap them around the edge of a lampshade or decorative the cuff of a sleeve. 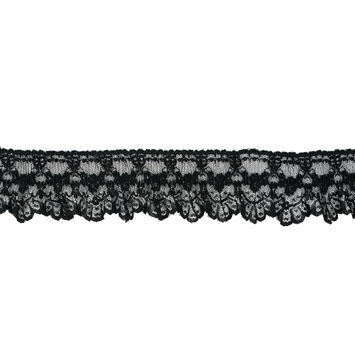 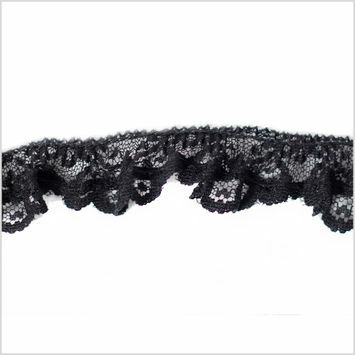 Black Ruched Floral Lace Trim - 3"
Black Pleated Lace Trim - 2.5"